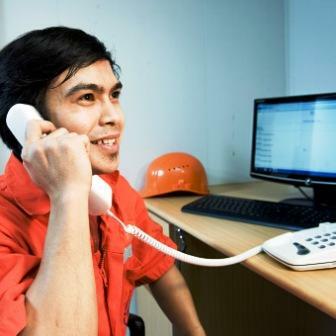 Marlink’s Prepaid Solutions enable crew members to make private calls, send emails, SMS messages and access the web. Vessel operators benefit from improved crew morale and complete cost control over private communications with minimal administration and at no additional cost. Our most popular Prepaid Solutions include Universal Card and Prepaid Talk. Vessel operators benefit from complete separation of corporate and private communications costs. On top of this, Marlink’s Prepaid Solutions offer a very simple and convenient way of managing crew traffic; just a few clicks and you're ready to Go! Universal Card Manager, the online card management system features fully automatic processing of all standard administration tasks like ordering and credit reloading. You can also view card details, check credit levels, analyse call detail records and monitor order history, making it the perfect tool to manage crew communications, especially in the context of small Sealink VSAT Allowances. Further, it keeps private communications completely separated from business usage. With Marlink Prepaid Solutions, customers benefit from the simplicity of using a single prepaid communications card for cost-effective Inmarsat, Iridium and VSAT voice, messaging and – in some cases – even accessing the web*.